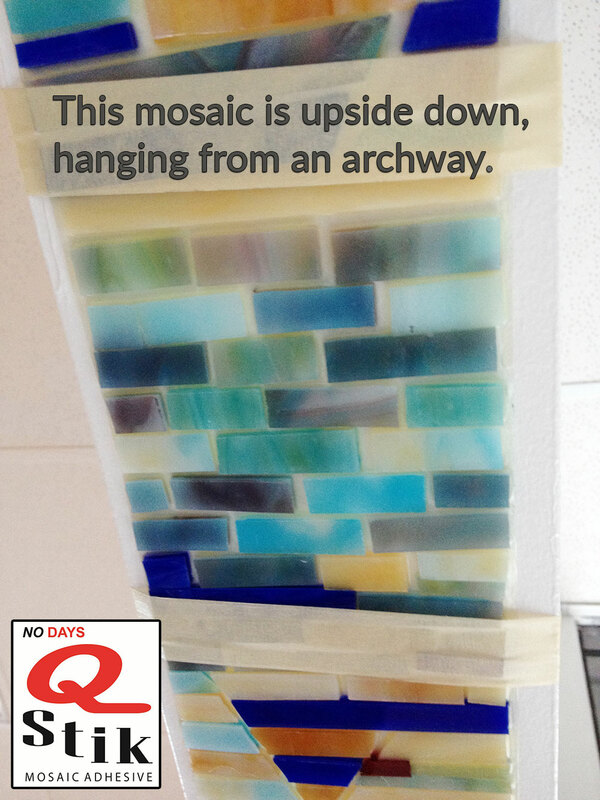 What is No Days Q Stik Mosaic Adhesive? 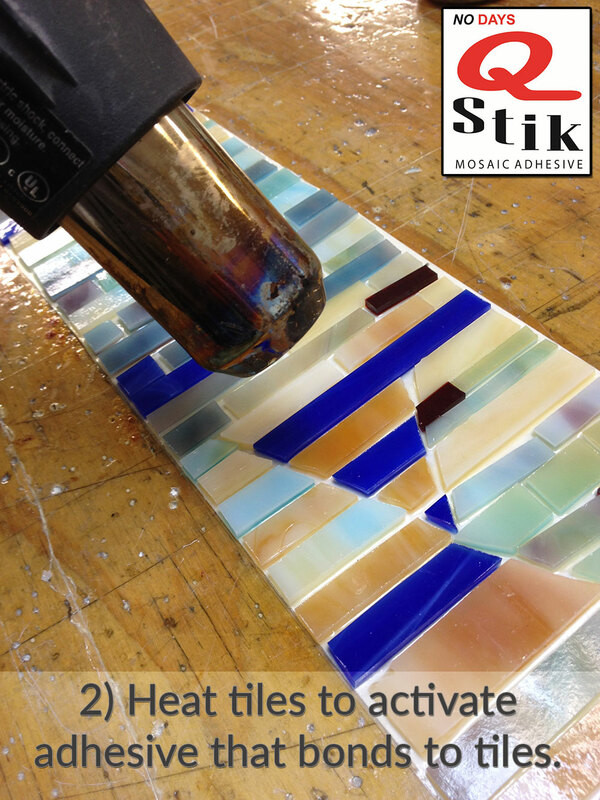 One side of the No Days Q Stik Mosaic Adhesive utilizes the advantages of No Days’ heat activated adhesive for tile placement, while the back side of the Q Stik film contains an industrial strength, quick stick mounting adhesive for permanent mounting of your mosaic to a wide variety of large or small interior surfaces, both horizontally and vertically. It’s basically, a customizable mosaic wallpaper. So, how do you use it? When the adhesive and tiles have cooled down, the bond will be permanent (unless you decide to heat the tiles up to 160 degrees F / 70 degrees C), and you’re ready to install. Peel back the paper the covers the pressure sensitive adhesive and press into place. 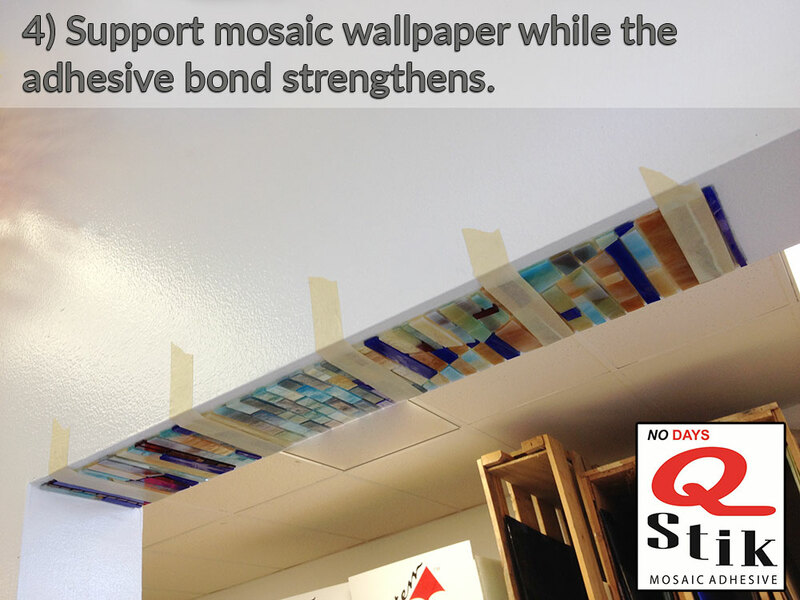 Depending upon where you’re planning on installing the mosaic, you may need to support the adhesive for awhile before the permanent bond takes over. 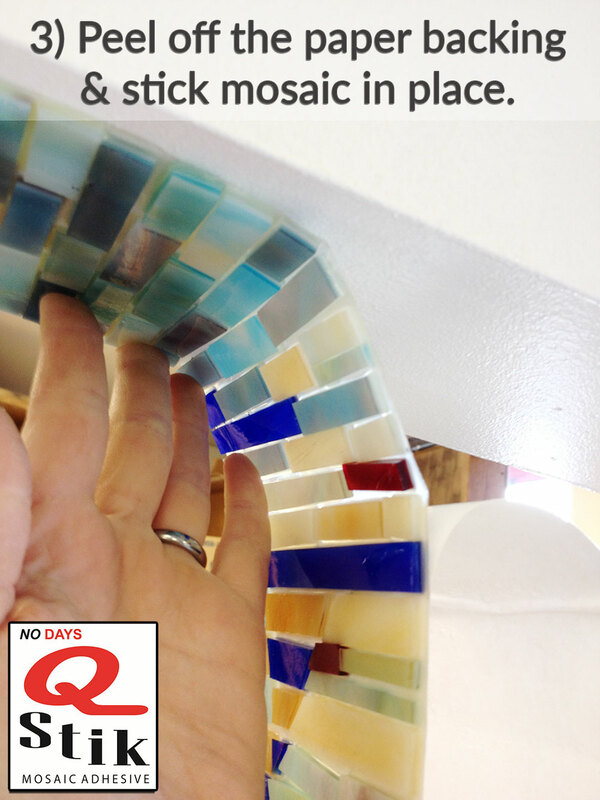 In the pictures, I’ve installed the mosaic upside down on an archway to see how well the QStik sticks. It’s installed over some glossy paint in a strip roughly 6″ x 18″. 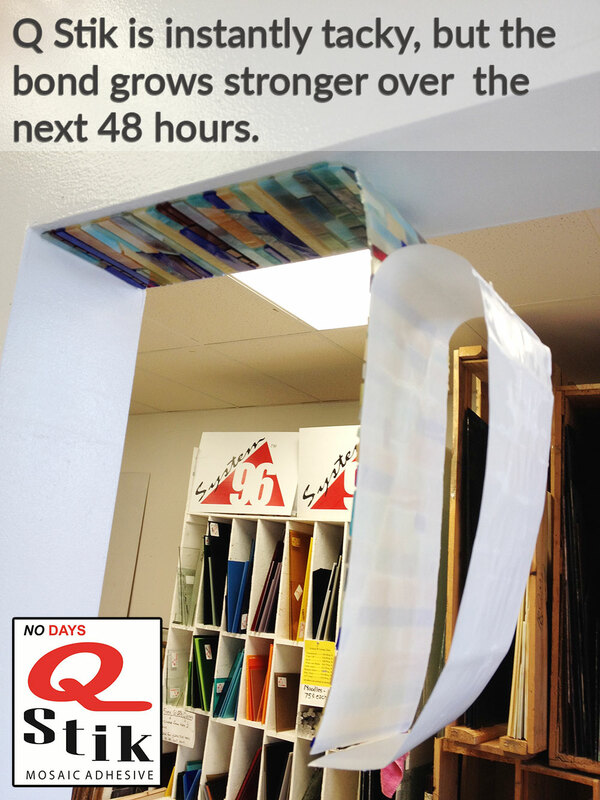 Q&A: Can Q stick adhesive be used for glass on glass with a result of clear adhesion? The product really sounds good. Also, can Q stick be used for outdoors with proper substrate use? 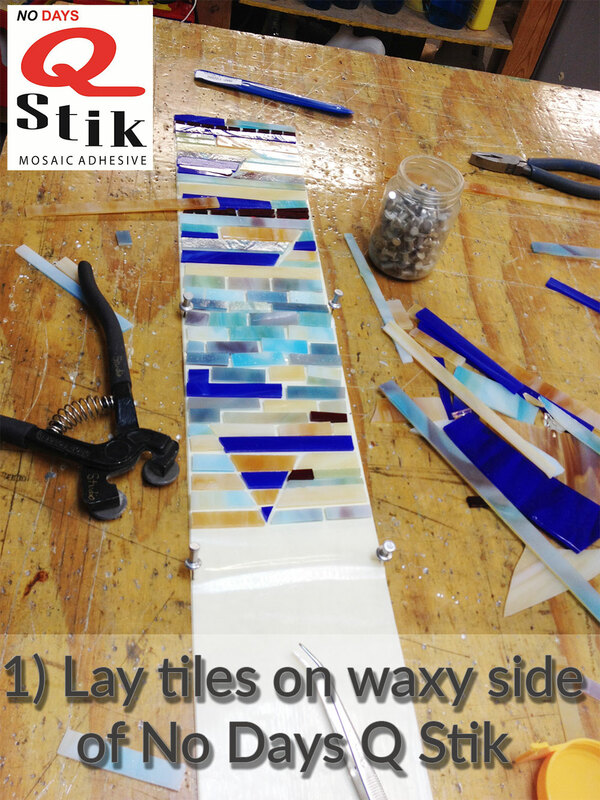 No Days Q Stik is for indoor only mosaics.